The NFPA has done a myriad of studies on the causes of fires in different types of businesses and public. For example, fires in office spaces are much more likely on weekdays when people are in the building, and also less likely (about 31 percent less likely) between the hours of 7 p.m. and 7 a.m. However, the fires that do happen between those hours tend to do more damage. In industrial and manufacturing facilities, about two thirds of all fires occurred specifically in manufacturing facilities as opposed to industrial, utility, defense, agriculture, or mining properties. It is always important that fire safety equipment such as commercial sprinklers and commercial fire extinguishers are up to date and properly installed so that fire risks are minimized. Here are some lists of the top five causes of fires in certain types of businesses, with number one being the most prevalent. Knowing what kind of fire risks your business is most likely to face is an important step in preventing them. Make sure to contact a fire safety professional at Total Fire & Safety to stay in compliance and protect your business from possible fires. 1. There are different types of extinguishers for different fires. Make sure the fire extinguisher types in your building are the right type for the kind of fire that may happen, depending on the materials present in your business. – Aim low. Point the extinguisher at the base of the fire. – Squeeze the lever slowly and evenly. – Sweep the nozzle from side-to-side. 3. Fire extinguishers must be inspected by a licensed fire protection company on a monthly basis. This is an NFPA requirement. Total Fire and Safety has a 12-point fire extinguisher check that thoroughly assesses each portable fire extinguisher unit. 4. Fire extinguishers should be installed near exits. 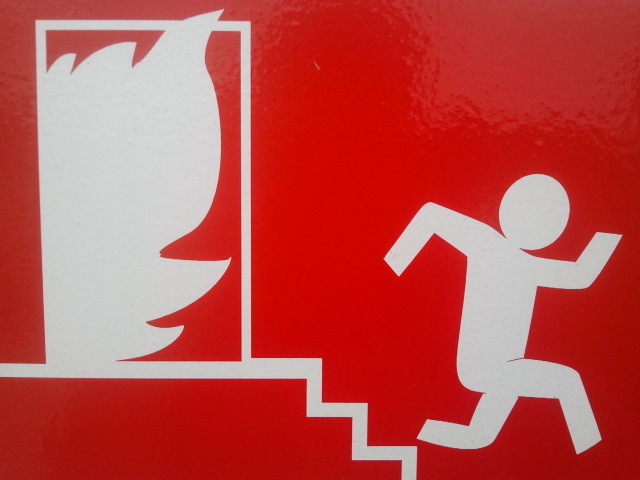 This will allow you to stay safely near an exit when using the extinguisher. If you do use it, keep a clear path to the exit and face your back to that exit. Evacuating all personnel is always the priority if a fire breaks out, so make sure you and everyone with you is within safe distance of an exit before attempting to extinguish the fire. 5. Employee training services are available. Total Fire & Safety has comprehensive training courses on many safety topics and fire equipment, such as CPR, machine safeguarding, emergency preparedness, and many others. They offer OSHA and AHA compliance courses in these topics also. 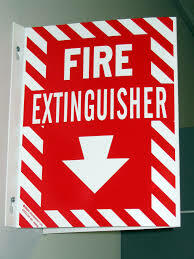 For more information about fire extinguishers in businesses, you can contact Total Fire and Safety at 630-960-5060.